Becoming an expert at something requires a great deal of effort, but it’s always easier when you have the right educational resources. This holds true for freight brokers as well. In the sea of available freight broker training books, it might seem overwhelming at first to make the right choice. However, carefully selecting your training materials, as well as a good freight broker training school, is essential to your success in the field. You probably know that as a freight broker, you’re required to cultivate an eye for detail, and hone your expertise across a wide range of subjects. This includes business know-how, and the skills required to run any successful company, as well as specific, practical considerations, such as setting up your brokerage, getting licensed and obtaining your freight broker bond. 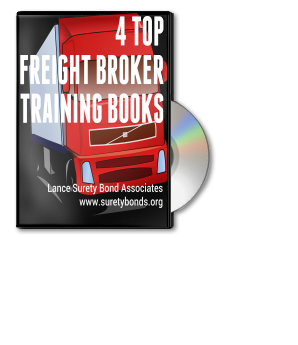 Start your freight broker bond application. 100% money-back guarantee! Let’s go through four of the most recommended and authoritative training books, so that you’re well-prepared to choose the best ones for you. 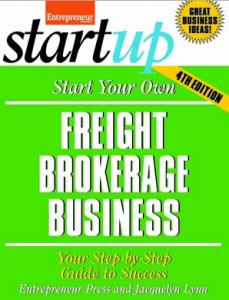 One of the most comprehensive, and most up-to-date, training resources is Start Your Own Freight Brokerage Business, which is now in its fifth edition ($19.95). Written and printed by the renowned Entrepreneur Magazine, this book has also has been recommended by JPL Enterprises International, an established freight broker school. This is a comprehensive manual that covers topics such as making your first business steps, getting licensed and obtaining your surety bond, organizing and managing your processes, hiring employees, marketing your brokerage and setting your finances straight. If you’re looking for the best way to complement your freight broker education, the Freight Broker Training Guide ($60) — compiled by the Freight Movers School — is your trustful companion. This training resource has been written by a team of experts who each boast more than 30 years in the industry, so it’s bound to help you on your way of becoming a broker. The Freight Broker Training Guide contains the step-by-step process that you need to follow in order to start your brokerage with insider’s information from the authors who are active freight brokers or trainers. You can learn about building relationships with shippers, doing your paperwork, as well as tips about your rates, billing and payments. It also gives you an additional book with terms and definitions, a metric conversion chart and common load board abbreviations. 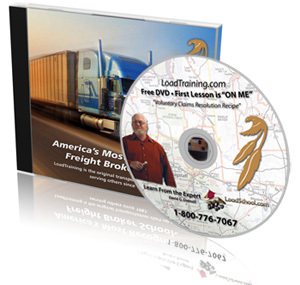 Another great educational book for brokers is the Freight Broker Training Manual ($49.95 for a digital copy, $69.95 for a hard and digital copy). 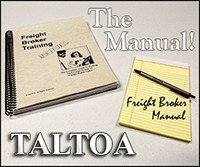 It is published by the TALTOA Freight Broker Training and Consulting school and complements their training. While it’s a very useful resource in itself, the guys at TALTOA recommend that it goes hand in hand with live training sessions. The Manual is a practical tool that teaches you how to operate in your everyday work as a freight broker. It contains useful information about working with shippers and carriers, gives you a good background in sales, and great tips on calculating and negotiating rates. Finally, there are some great training resources on the website of the LoadTraining freight brokering school that are available for free download! Hopefully this list has made it clearer and easier for you to discern which freight broker training resources are worth your time and money. After all, learning from the best is a good start in your own business endeavor. We’d love to hear your experience with training books in the field! Please share in the comments below.